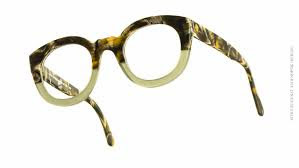 Frames by “Schnuchel” feature both classic and modern styles made of the finest European acetate plastics. Each frame is individually and meticulously crafted by Dr. Wolf Schnuchel in Hetlingen, Germany. Every style is available in over one hundred color combinations, ranging from traditional amber and blonde tortoise to bright reds, blues, greens and violets as well as classic black and crystal. They are also made in many laminated materials that combine colors to create unique effects. All of the colors are available in either a shiny or matte finish. 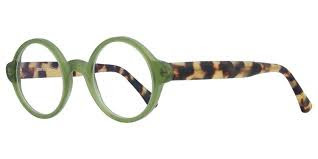 Since every Schnuchel frame is custom made, there is no limit to the sizes or color combinations that are available.